To help you feel a bit more comfortable in your host culture, we have compiled a few tips to help you avoid hurting someone’s feelings. Many of these tips may seem like common sense, but we (experts on all-things-abroad) are aware of the amount of students studying abroad who seem to constantly forget their manners. A general rule of thumb when adjusting to a new culture is this: if you don’t see the locals doing it, you sure as hell better not be doing it. Documenting pretty much everything you do is an obvious thing for study abroaders. We encourage taking lots of pictures of all the amazing places you go, just make sure that the photos you take are in good taste. Always be aware of your surroundings and what they symbolize for other people, especially when you are somewhere that is obviously upsetting. For example, a concentration camp isn’t the place to have a friend take a picture of you doing a headstand…or really doing anything, for that matter. Along this line, don’t take suggestive (or straight up inappropriate) pictures of popular sites. Even though we are all tempted, nobody needs to see another picture of someone putting the Leaning Tower of Pisa in a compromising position. In addition, if you are in a historical place and there are rules about photography (especially flash photography), respect them! Don’t be like that kid who broke the sculpture in Italy because he was trying to take a selfie. These rules are in place to preserve the artifact/building and you breaking the rules is only hurting future generations. Every culture has different rules for etiquette and manners and it is impossible to learn all of them. However, a simple Google search will at least give you a foundation of what is considered rude in your host country. Being aware of cultural differences in everyday situations can help you avoid a faux pas such as arriving on time in a more laid-back culture or wearing a color/outfit that is reserved for a specific event. Not knowing basic lifestyle rules can get you into some serious hot water, so be sure you have educated yourself about the etiquette around eating/tipping, transportation, appearance, and punctuality at a bare minimum. Not finding the answer you’re looking for on the web? Ask a local. They’re the experts on these topics! 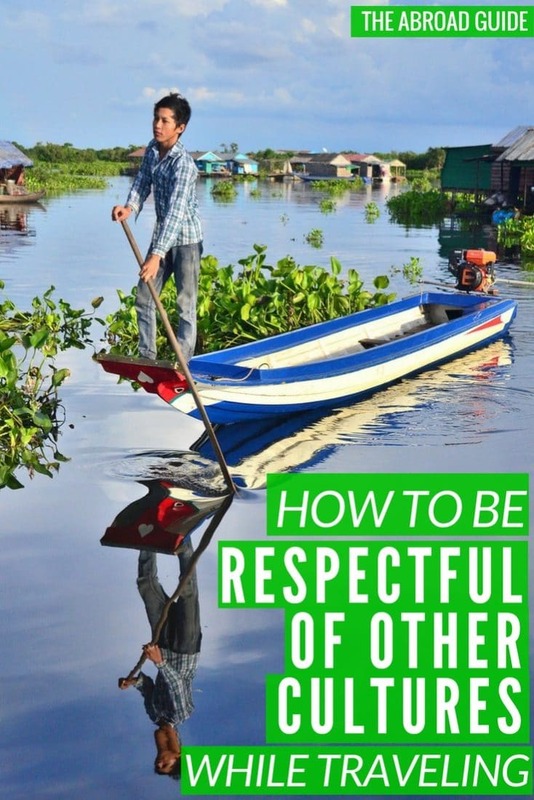 Even if you don’t observe certain religious or cultural events/rules/behavior, respect the ways of your host culture. When on holy ground, be aware of any public behavior that could be considered sacrilegious to others and follow the rules about covering your head and shoulders or removing shoes. 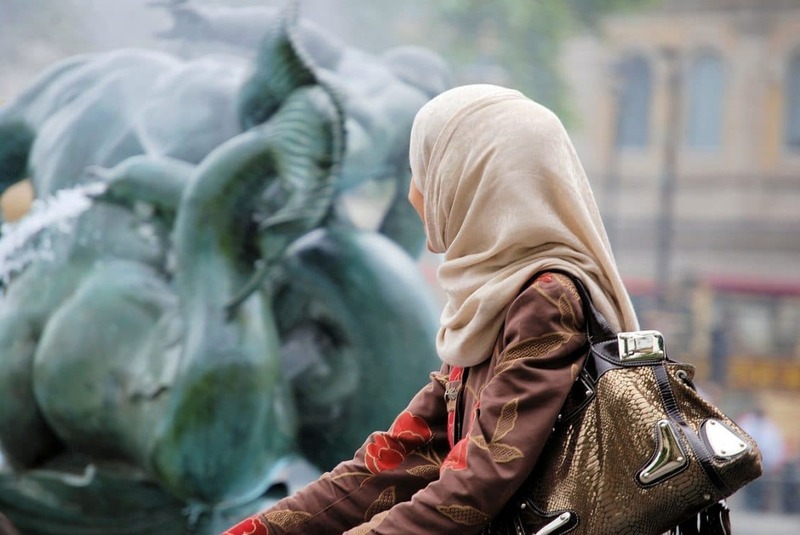 For this reason, it is a good idea for women especially to carry a scarf (even if it is hot outside) if you think you will be entering any sort of sacred ground. Also, if your host family keeps kosher, doesn’t eat meat on Fridays, or follows a specific religious rule, don’t bring a ham sandwich home for lunch or something else that blatantly goes against their ritual. It is natural for people to take privileges from their home country for granted, but just because it’s “cool” in the US to hate on our leaders, trends, and other cultural things doesn’t mean that this will fly abroad. Statements like “#thanksobama” or “first world problems” are actually quite damaging and offensive to other cultures (and make you sound like a complete fool). With this said, don’t casually bash on these things if you aren’t willing to be engaged in a follow-up conversation. Most locals will jump at the opportunity to discuss a native’s opinion of US politics and events, and it’s very rude to open up this can of worms and not follow through when someone is just trying to learn more. Also, be conscientious of identity words such as “American”. It is always better to describe yourself as a “student from the United States” than simply an “American”, as anyone from North or South America is an American. This is particularly important if you are studying abroad in a Latin American country, and it is viewed as insensitive when those from the US give off the impression of forgetting that America is not just the US. For this reason (and because it’s really just annoying), don’t be that guy who starts the “‘Merika” chant in a bar while abroad.